Use of cell phone is not restricted to the adults any more. Children also use cell phone these days. Providing your children with a mobile phone ensures that you can communicate with your children any time you want. However, it has some pitfalls too. Giving your children cell phone means you’re allowing your wards to communicate with anyone they want and so it can be really hazardous at times. Considering both advantages and drawbacks, if you think this is the right time for your children to get a mobile phone, you must be very careful about choosing the right phone set prior to you make a purchase. 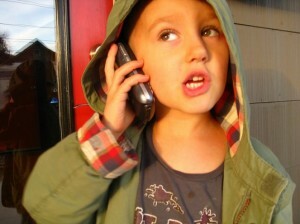 Here are some tips on choosing the right cell phone for your children. You can start with talking to your present mobile phone provider about the options available. The provider is the best person to provide you with special phones which will be perfect for your children and also allow you to limit access to different features like calling outside allocated numbers and text messaging. Select a phone that suits your child’s age and size. Smaller and compact phones could be the perfect choice for the little ones. You can find phones with only a few buttons with which the user can only call designated numbers. Nevertheless, for older children, a regular sized phone goes well. An Internet-enabled mobile phone or a phone with a camera is not a good choice for the children. These features can put the children into trouble. When it comes to mobile phones for the children, you must choose a basic model so that you call your child and vice versa, when needed. Now it’s time to be careful about the phone’s safety features. Some phone has a GPS device that you can activate in case the child is missing. Another required option is to restricted Internet access so that you can allow your ward to have access to Internet but impose limitation on accessing certain websites. Finally, you must conduct a price comparison to get the best price for the phone. If your child is an older one, you can get a regular mobile phone for her and add it to your regular family plan as it would be a less-pricey option. Other types of cell phones are usually prepaid phone that you need to recharge periodically. These are just some of many tips that you can observe in order to choose the right cell phone for your ward. Remember, if your child is a little one, then you must choose a kid-friendly phone offered by companies such as Migo, Firefly and Tic Talk. These are just perfect choice for the kids and optimal control for the parents as well. Such phones don’t have a number pad but they have a few keypad buttons for which you can assign particular numbers and this way you can limit who your child can call. Author’s Bio – Alice Aires is a tech industry blogger. She has written a number of articles and blogs on latest gadgets including smart phones, iphone, and mobile phone for kids, android etc.